Like most patients, he really had a hard time. Medical Information Technology (IT) tools are just not up to the task. “There were digital files of M.R.I.s, data from my surgery in the trauma unit and scans from the emergency response team that never went into the my health record.” he said. It was shocking to read his comments because it is exactly the same way that I felt when I spent a year in hospital in 2007 taking care of my young son diagnosed with bone cancer. The medical information that we needed, as a family, was difficult to manage, impossible to exchange, and the patient was never in the loop. Unfortunately, there haven’t been significant of improvements in nearly 10 years. I immediately invited him to join me in the club of IT entrepreneurs turned patients that are dedicated to synchronizing health data for everyone. Bill accepted my invitation! He found time in his busy schedule to have a truly human discussion with me. He suggested that I meet with Werner Eberhardt, the director of personal medicine in SAP’s Walldorf, Germany, Headquarters. Werner Eberhardt, Michael Schaper, Frank Kilian and Stephan Schindewolf, and I had an important talk about SAP’s and Andaman7’s commitment and passion for developing software for healthcare, both for business reasons and purely helping people. We also discussed how the health sector is being disrupted, the great new possibilities for patient empowerment through health technology. 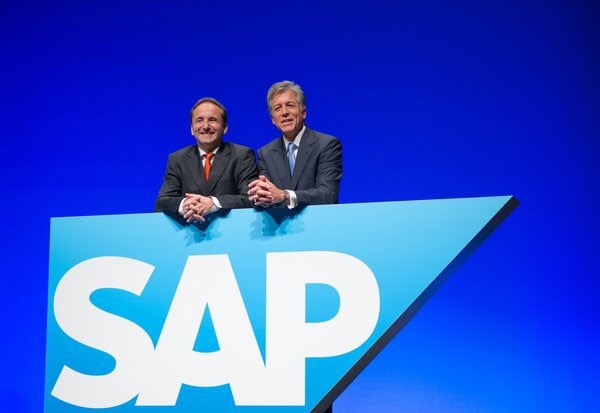 SAP is a very large company and I run Andaman7, a tiny startup. We’re worlds apart in size but closely aligned in our mission to contribute directly to improving and sharing data for better health. Please help us realize our mission by becoming an Andaman7 member. The Andaman7 App is free and available at http://www.andaman7.com or in the App Store. Your ideas and feedback about your experience using our App will be used to make on-going improvements. My thanks to SAP, Andaman7 Members, patients and health care providers who are working to realize better health for everyone.